Ready to give your home or business the beautiful and durable floor system it deserves? Epoxy Flooring Fort Wayne takes pride in delivering reliable and hard-working epoxy systems in the greater Fort Wayne, Indiana area from the city itself to nearby communities like Auburn, Angola, Columbia City, Decatur, and Defiance. Epoxy flooring is an affordable and durable option that’s highly customizable. Our epoxy contractors have decades of combined experience working with industrial-grade epoxy to deliver any look you want, from solid colors and custom patterns to metallic epoxy flooring. Homeowners appreciate epoxy because it’s affordable, waterproof, and easy to maintain with a long life. It’s just at home in living areas as it is in the basement or garage where it brightens the room, withstands spills and moisture, and creates a finished living area. Business owners choose epoxy flooring in the Fort Wayne area because it has a low lifecycle cost yet withstands even harsh environments and constant wear and tear. No matter where it’s installed, epoxy can deliver the “wow” factor you’re looking for. We work with homeowners and facility managers in all industries, including breweries, retail establishments, medical facilities, office buildings, restaurants, and more. Learn more about our commercial roofing services then CONTACT US for a FREE ESTIMATE. Epoxy can be a smart investment for any space. We will work with you to choose the right epoxy formulation for your needs and design goals to bring your vision to life. 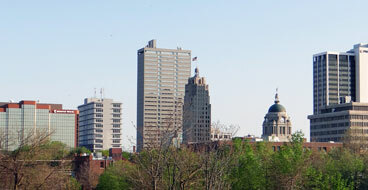 Epoxy Flooring Fort Wayne proudly serves Fort Wayne, Indiana and surrounding communities in northeastern Indiana. Located close to the Ohio and Michigan borders, Fort Wayne is the second-largest city in Indiana with a population of more than 260,000. Fort Wayne, IN has been ranked as one of the best places to live in the midwest with all of the amenities of a big city, including great entertainment, cultural events, and outdoor activities. Fort Wayne’s economy continues to thrive while other cities in the Rust Belt have suffered from a loss of manufacturing jobs and its revitalization has introduced popular new living areas along the waterfront and downtown. 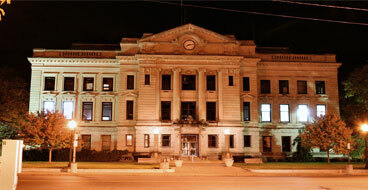 Located along the Maumee River, New Haven, Indiana has a population of more than 15,000. This small city has the perfect small town atmosphere with a diverse economy and everything the city has to offer just 15 miles away. 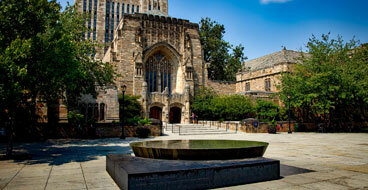 Downtown New Haven boasts the beautiful Schnelker Park with its renovated pavilion, playground, and frequent community events, as well as boutiques and restaurants to explore. Huntertown is a small town in northeastern Indiana with a population of more than 5,000. Despite its small population, it’s been one of the fastest-growing communities in the region thanks to an influx of people from urban areas like Fort Wayne who are seeking a slower pace of life, greater access to the outdoors, and a low cost of living. 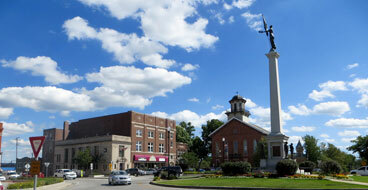 Located in DeKalb County, Auburn, Indiana has a population of more than 13,000. The city played a major role in starting the automotive industry at the start of the 20th century with the Auburn Automobile Company. Today, Auburn boasts a community-owned, high-speed communications network that provides residents with advanced Internet, voice, and video services. 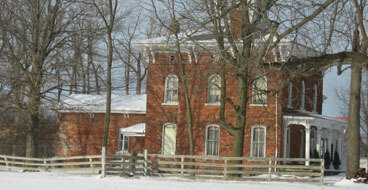 Founded in 1838, Angola is located in Pleasant Township about an hour outside Fort Wayne, Indiana. Angola is known for the popular Steuben County Antiques Trail and the beautiful Pokagon State Park on the shore of Lake James with beaches, hiking trails, and more. The area also boasts wineries and an indoor/outdoor sports and shooting range. 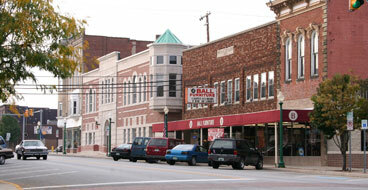 Columbia City, Indiana is a small city of about 9,000 in Whitley County. Columbia City, founded in 1839, quickly attracted residents in its early history and it remains a popular bedroom community of Fort Wayne, which is just 25 miles away. In the last 15 years, Columbia City has grown by about 20%. Providing roofing and weatherproofing for your peace of mind. Because your home wears our reputation.